The Three Rivers Art Festival draws art and music lovers to downtown Covington annually during the second weekend of November. It began in 1997 with just 49 artists and a vision of showcasing the Saint Tammany art scene. But over the past 22 years, it has mushroomed. This year’s free festival will have works on sale by more than 200 artists from 28 states and a crowd of some 60,000 people. Recently, we sat down with festival coordinator Sarada Bonnett to talk about Three Rivers and its influence on the art and culture of the North Shore. Why an arts festival in Covington? What’s the mission? When the founders of the festival came together, they really wanted to find a way to incorporate Covington, add some art and bring people to downtown — at that time, in 1997, there wasn’t a lot going on downtown. So, they really wanted to liven it up and they wanted to do that by bringing in art. What’s the biggest difference between Three Rivers today and Three Rivers when it was started 22 years ago? I think social media has allowed us to grow as much as we have. Artists can apply online. We have 500 artists that apply and only 200 places to fill. So, it really truly gives you the best of the best. So, I think that probably between social media and computers, all that stuff has really filled in the gaps where we needed it to. It’s a juried process. What are you looking for? I bring three jurors in from across Louisiana. We normally have a Professor of Fine Arts. We normally have someone who is very well-versed in festivals. And then we normally have a teacher of some sort. It kind of rounds out so that we don’t have just one pinpoint idea of what we’re looking for. And they score them 1 through 10, 10 being the best, and they’re able to, with that, nail it down to 200 artists. One of our contingencies is that the artist has to be present at all times and that 75 percent of their work has to be 100 percent original. Describe some of the art for me. Oh my gosh. From watercolor all the way to metalwork and everything in between. So, if you’re looking for it, I promise you’re going to find it there. We have woodwork. So, functional art. Fun things for you to sit in, for you to cook with. There’s just so much. I buy something every year – if not four or five things every year. We just built and so we were trying to absolutely fill our house. I’m a big 3D person and also like watercolor. So, I’ve had those two pieces. How much of it is Louisiana and how much of it is external? We try to keep it 25 percent Louisiana. We feel like if you want to see a local artist, you can do that at our Fall and Spring for Art. You could do that at Palmer Park. You could do that several places. We want to bring artists that you would not normally see in Louisiana. And that’s why we have artists who come all the way from New York. We have some from San Francisco. We have artists who travel quite a long way to get to Covington. It is. I’m a paid employee, but I’m part-time. We have over a hundred volunteers and it’s fantastic. It’s definitely near and dear to our heart and anytime you say Three Rivers, everybody says, that’s ours. That’s Covington. I think everybody takes ownership. Tell me a little bit about the art community on the North Shore. We have one of the most phenomenal gallery scenes. We have several galleries up and down Columbia Street and on Boston; it is definitely an arts area. Any time you have art, it’s going to bolster and help the community and businesses grow. That’s proven, by the way. But, yeah. We definitely do. 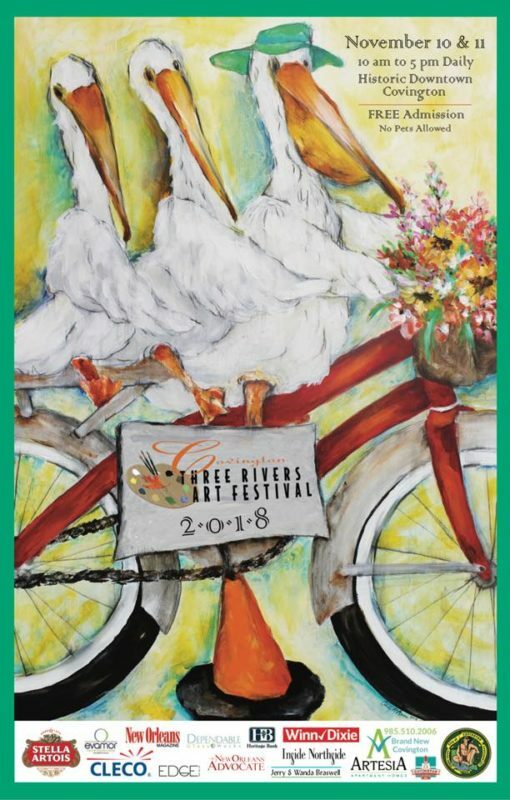 Between our block parties that we have in Covington and our art walks that we have, it’s definitely just one piece to add to the puzzle when we say Covington Three Rivers Art Festival. Do you have some artists that have been there almost since the beginning? I had one gentleman who had been in for the past 21 years, and this year he was unable to apply due to some family issues. And he was just devastated. And we’re devastated not to have him. He’s the one at the very end of our festival and it’s tradition to see him. He’s got these huge iron statues and people are used to walking down and seeing him. And when you get there, you know that you’ve made it all the way through. Is Three Rivers just about art? Well, it really is all about art. It truly is 100 percent art driven. We don’t allow any other booths in the festival, other than artisans. And we have a children’s stage, where we bring the LPO; we bring the New Orleans Opera. We have several fantastic stage events for the kids. 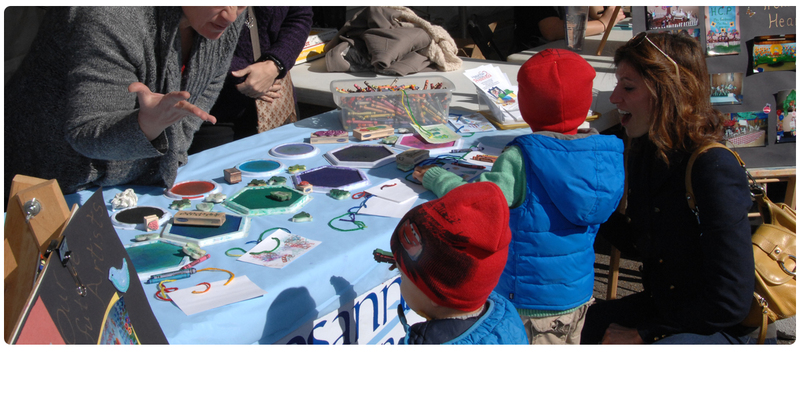 And then we have 12 booths for them to do hands on, from plaster to watercolor to just arts and crafty type things. We have a concert on Saturday night that is open to the public and Tyler Kinchen and All the Right Pieces will be playing. He’s amazing. Great band. We also have the awards for the artists that night. So, I call it the biggest Meet the Artist in the region because we have 200 artists there to meet, shake hands, say hello. And then we have Eddie Jemison, who played on Oceans 11 — actually, all the Oceans movies. He was that computer guy who everybody just loved. But he was Joanne Gallinghouse’s brother and Joanne Gallinghouse was one of our founders who we lost this year. So, we’re doing a tribute to her and her family. If people from New Orleans have not been to Three Rivers or don’t know Covington, what’s the one thing they should know about the area or the people? I think that we have the nicest people in the world. Our hospitality, I think is what brings these artists year after year from 2,000 miles away. And you’re five blocks of nothing but art, row after row. Historic Covington is just beautiful. You can walk down and see artists on both sides of the street and you know, great food, good music. It’s just so much fun. What are some of the more unusual artists or works or experiences? I think that probably the most memorable was Josh Cottier, who is a wire sculptor and does life-sized wire rabbits riding bicycles. I mean, really just crazy stuff that you see and you’re like, wow. You know? We have several from New Orleans who I absolutely adore. Shaun Aleman is one of them. And Keith Andry, who does watercolors. Where do you hope Three Rivers will be 22 years from now? Well, let me tell you this. We are trying to keep it very small and there’s a reason. I think we’re going to keep it to around 230 artists. We like the artists to be able to benefit from the crowd, and the bigger you get, the harder it is to bring the best of the best. And we want to provide the absolute best of the best for our patrons and customers. Our mission truly is to incorporate art into our businesses and our city. 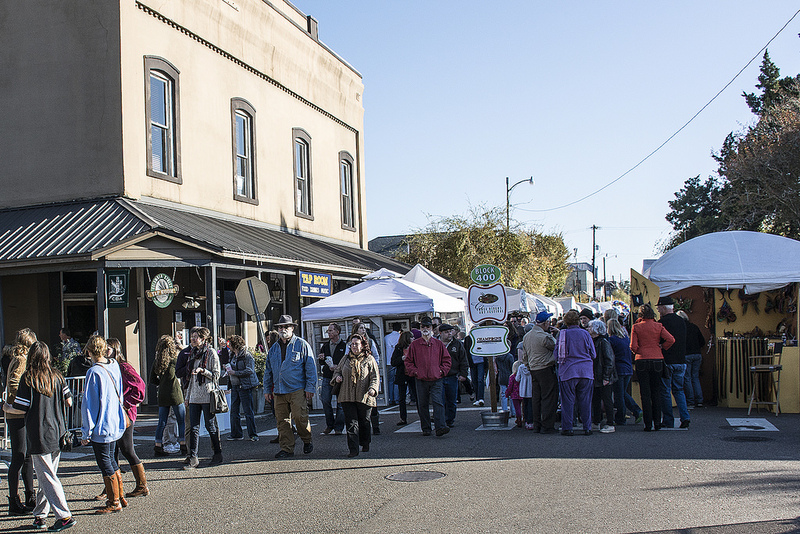 Three Rivers Art Festival will take place November 10th and 11th in downtown Covington. It’s free and it’s fun. For more on it, go to threeriversartfestival.com.